Last month, our team gathered for a few days together with our families. It was a time to reflect on what we most appreciate, and what are our hopes are moving forward. My favorite part of the week was when we took the time to share our “last will” and what we would give to or leave each other. Most of us cried at least once and we all realized that our strength lies in the support we receive from those around us. Make sure that you invest in your team- whether it be the personal or professional players around you. 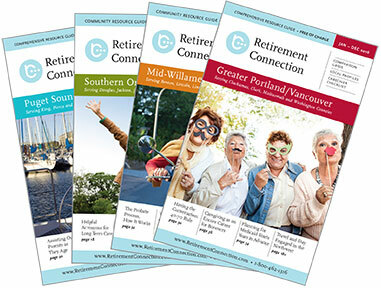 If you have not done so already make sure to RSVP for the Retirement Connection Sponsor Breakfast in Portland this Friday, September 7th! Due to the Retirement Connection CEU event at Providence hospital from Noon-2:30 on Tuesday, September 11th, we have decided to cancel our September ECME gathering. However, we know we will see a lot of you at the event.